Whose sweetest blossom’s not yet found. Were lying warm in your soft breast. A different life can live and prove. To clear away the morning dew. 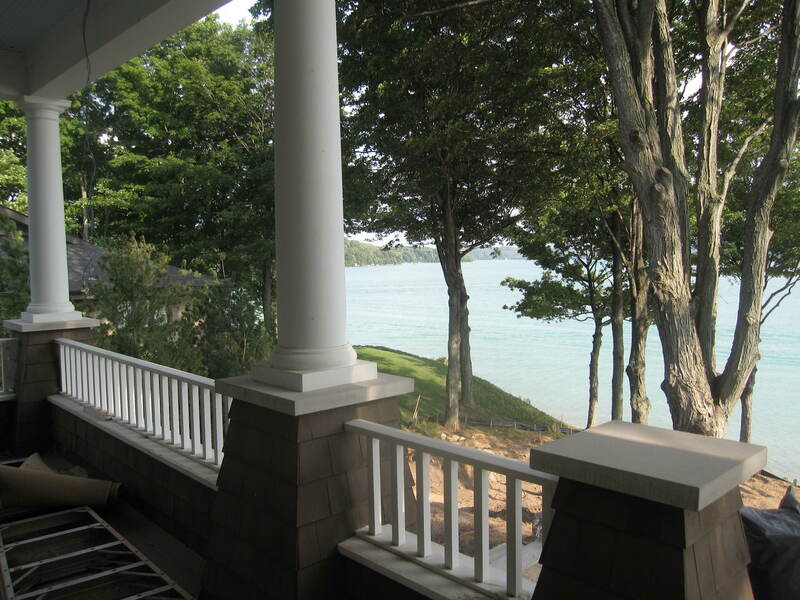 There once was a cottage, brand new, fresh and airy with spectacular lake front views. A local King of Retail, millionaire philanthropist and incorrigible goat of an octogenarian bought the cottage, and to the dismay of his neighbors, began a renovation to the specifications of his much-younger girlfriend. 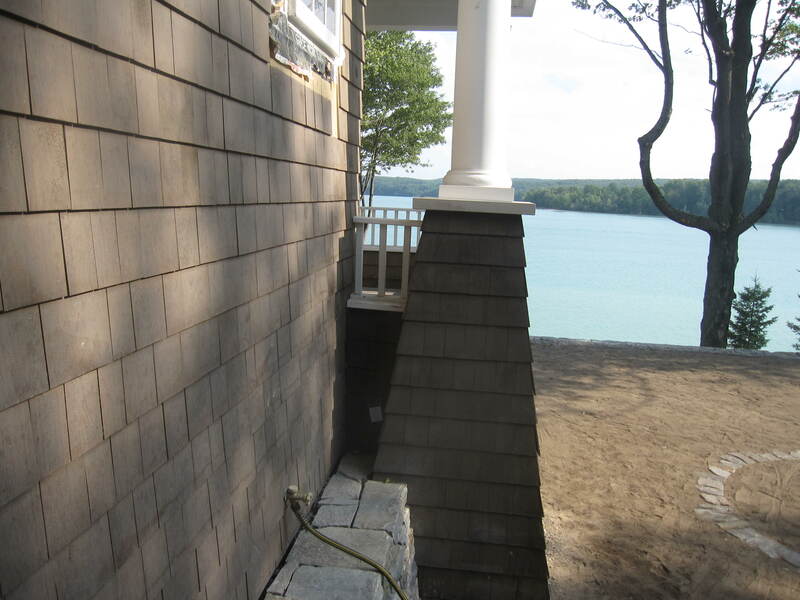 He gutted the marble bathrooms, the stone fireplace, the tongue and groove walls, the landscaping, the driveway, even the shoreline. Mind you, this cottage is in Hemingway country; but anything rustic or reminiscent of Papa’s outdoorsy early life was plastered over and covered in flagstone and Star-Trek-sized boulders. The cottage became a pleasure dome, complete with a bunker house, an outdoor kitchen, an English-style garden, a wine cellar, workout room, and chef’s quarters. In the course of this renovation, the King broke up with Girlfriend #1 (who should probably be named “Mistress #1,” as the King’s marriage is older than his business); found another much younger companion, Girlfriend #2, who had different ideas for the cottage (Renovation #2); was threatened with a lawsuit by GF #1; decided to sell; and most recently reunited with GF #1 who still has ideas about what the cottage should be (Renovation #3). There’s no fool like an old fool, the neighbors muttered. The contrast of the two men, the retailer and the poet, makes good pickings for irony lovers as well. The poet, born 60 years earlier than the King, was famous for being a tramp (in the lingo of the times), for living nowhere at all, for being “The People’s Poet,” a poorly educated wanderer from Wales with a talent for wordsmithing. Davies crossed the Atlantic seven times in cattle ships, and for years road the rails across America. He lost a leg jumping on a train, which led him to take up writing. On the road decades before Kerouac, he wrote a book about his adventures called The Autobiography of a Super-Tramp that, with the help of playwright George Bernard Shaw*, became a bestseller. (And yes indeed, the rock band of “Logical Song” fame took their name from Davies’ book.) His life is fascinating, but I’ll mention only two highlights here: late in life he married a former prostitute 30 years his junior (not unlike the King, whose GF#1 is a former exotic dancer), and lived and circulated in Bloomsbury, probably driving Virginia Woolf nuts. 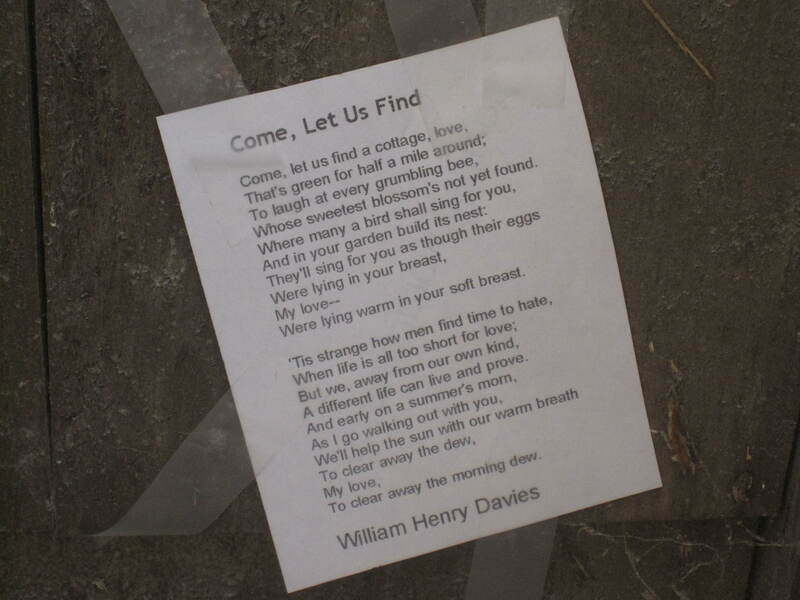 Even though the poem begins with a hunt for real estate, the space the lovers will share is an entirely natural one. The lovers are so connected to nature and integrated with their surroundings that they actually become part of it, helping the sun with its work. How lovely is that last image of the two lovers walking about the garden, their warm breath drying up the morning dew. The sensuality of it is beyond. . . just beyond. Wow. The nest in her garden, the warm eggs, the birdsong to bring it forth—well, he had me at nest. I’ve been obsessed with that bizarre image for days now. I’ve finally figured out why, and this is where the irony gets personal. I thought I was clever to place this poem where it so needed to be found—but really, this poem found me. That image of the eggs sheltered in a breast attracts and repels me because I am a woman without breasts, or real breasts anyway. What I have on my chest are two mounds of skin and scar stretched to the limit and filled with plastic. To imagine breasts cradling an embryo rather than hiding a mutation; holding something about to burst open with life, not death; something to be sung to, not carved out; something that rests, not something that attacks and must be killed—is all to imagine and remember the wondrous beauty of what I once had. *Davies reminds me of Shaw’s Pygmalion character Alfred Doolittle, also a Welshman, whose speech Professor Henry Higgins describes in the play as, “Sentimental rhetoric! That’s the Welsh strain in him.” Makes me wonder if Shaw used Davies as a basis for Doolittle.